FTC Disclaimer: I was given a free membership to try out the service. I also have an exclusive coupon code at the end of this post for my readers.I couldn't resist the silly title since my Sister said the irregular circles necklace looked like asteroids. Lol. That being said, this necklace is actually my favorite piece from this box. 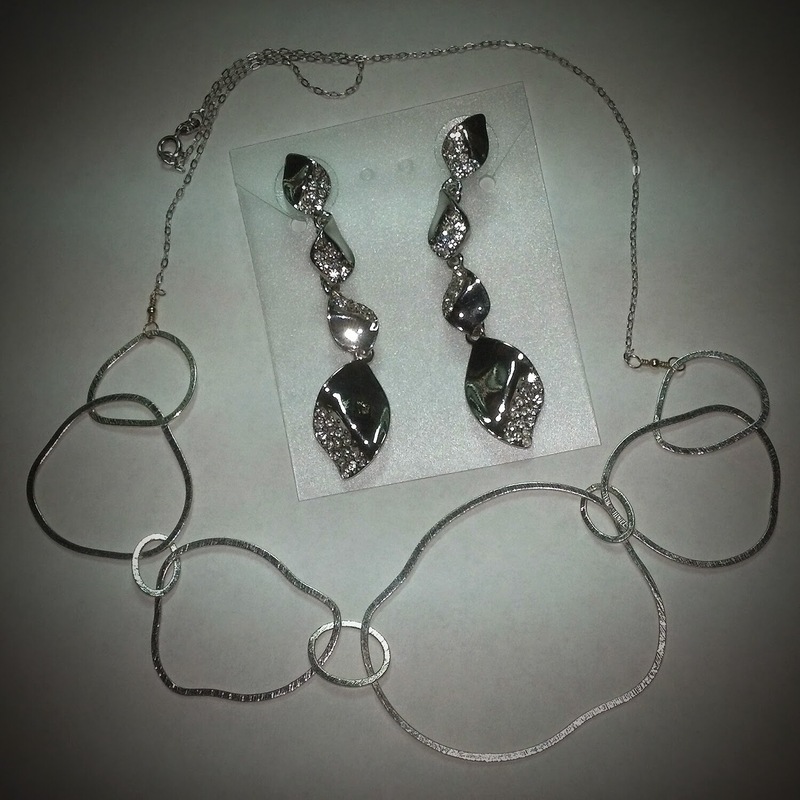 The 1st item I received is the Fortuni Pave Dangly Earrings in silver. 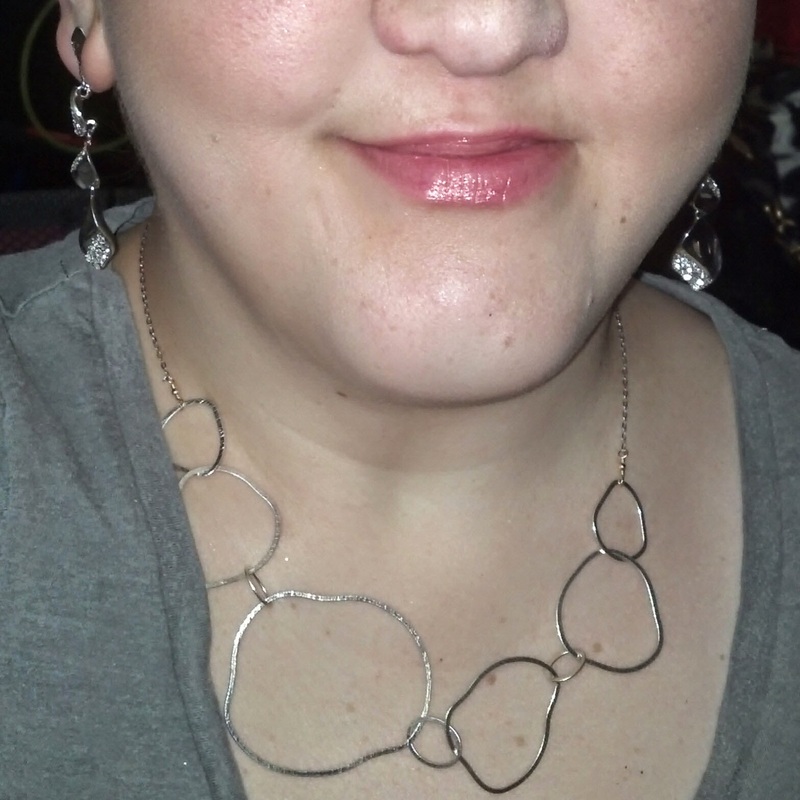 You can see them in the following photos along with the necklace I just mentioned. (click images to enlarge) These earrings are super sparkly, perfect for an evening look! Also in the above photos, you can see the aforementioned Charlene K Irregular Circles Short Necklace in Sterling Silver. I love this piece because it's kind of a statement necklace, but with the thin, open circles & dainty chain it's also very understated as well. You could just as easily wear this with a scoop-neck tee & jeans as with your LBD. The last piece I received is definitely the most "notice me" piece of the 3. It's the Juliet & Co Deco Pendant Necklace. This is GORGEOUS! Really, this has some serious sparkle. This would be great for an evening look as well. 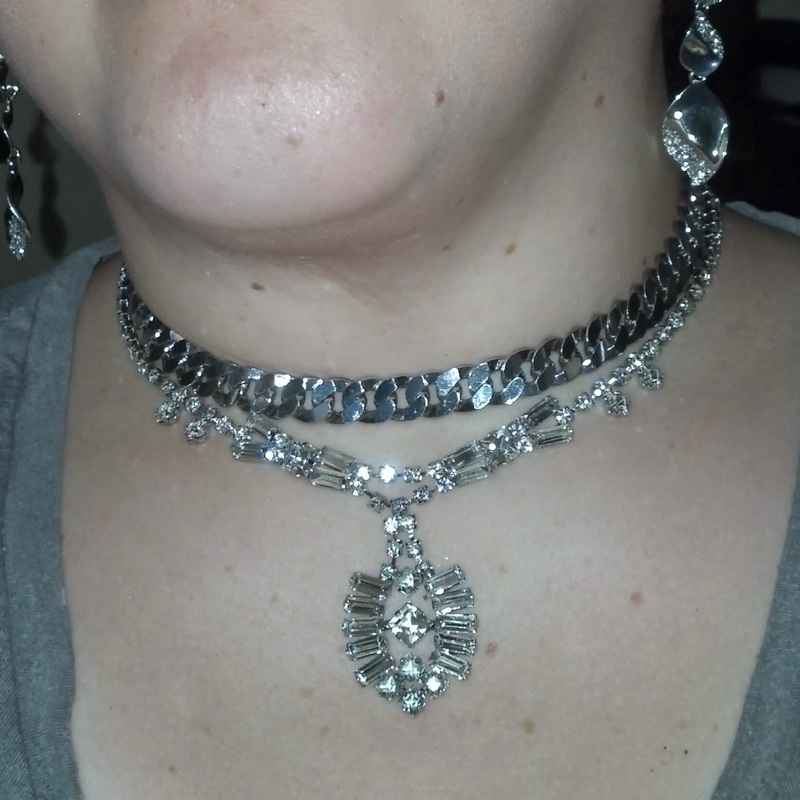 It is a choker style, so if you have an abnormally thick neck (like me) you probably won't be able to pull it off. As you can see in the photo, it's pretty tight. 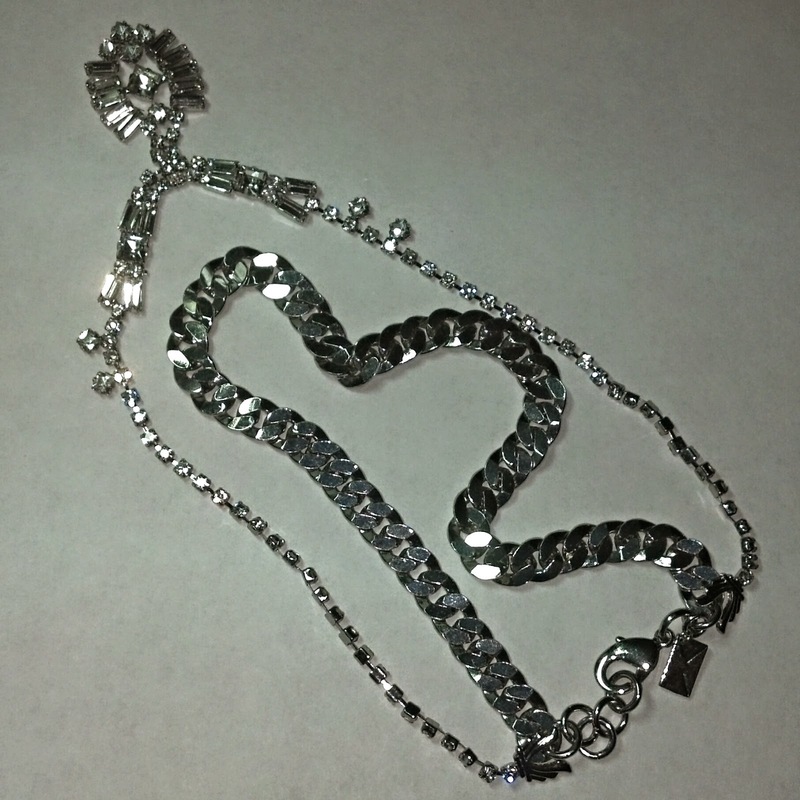 If you're fortunate enough to have a normal sized or even slender neck, this will look stunning on you!